Pico do Arieiro is a mountain on the island of Madeira, off the coast of Portugal. At 5,965 feet (1,818 meters), it’s the island’s third highest peak and one of its most popular tourist attractions, thanks to incredible views from the summit and challenging hiking trails. 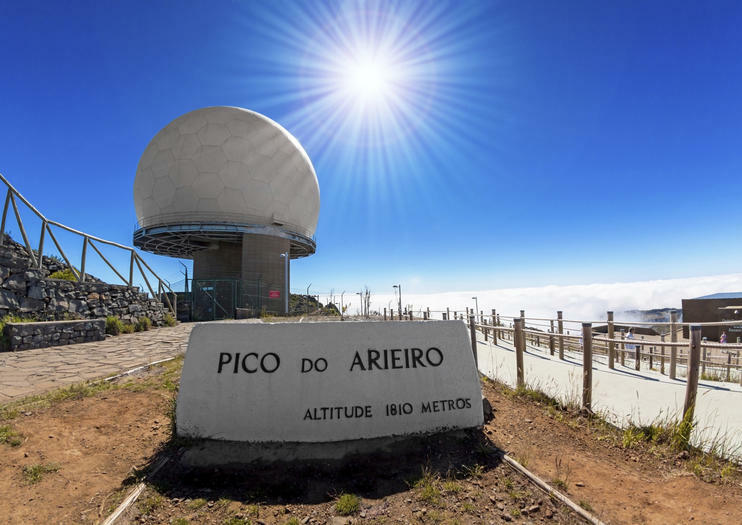 Located in the center of Madeira, north of the capital Funchal, Pico Arieiro has been drawing visitors to its impressive summit for many years. Looking out over the surrounding landscape from the peak is a surreal experience, as the top of the mountain is often above cloud level. On a clear day, visitors can look down onto clouds dotted below and the blue sky above and even see all the way to the neighboring island of Porto Santo, some 30 miles (48 kilometers) away. From the summit, a hiking trail extends into the surrounding hills toward Pico Ruivo, the island’s highest peak. It’s a challenging walk, but the panoramic views are spectacular, even if you only venture a short distance along the trail. Visitors can opt to explore Pico do Arieiro as part of a guided island tour combined with other popular sites. Many small-group tours travel by 4WD vehicle in this area.  Refreshments, bathrooms, and a souvenir shop are located at the summit. There is free parking at the summit. A chairlift is available to access the summit for those with limited mobility. Check weather conditions before you set out. Bring an extra layer or two, as the temperature can change rapidly at the summit. Wear suitable footwear if you’re planning to hike the trails, and take water and sunscreen with you. Pico do Arieiro is around 30 minutes by car along route ER103 from Madeira’s capital, Funchal. The mountain road is very steep and winding; consider traveling with a guided group if you’re not experienced at driving in this type of terrain. The summit is open daily, but the restaurant and shop may close on certain holidays. Try to set out early in the day if you’re planning to hike to ensure you have enough daylight to return. For a one-of-a-kind Madeiran experience, hop on a wood-and-wicker sled for a thrilling ride—down paved streets, not pristine snow. Take the cable car from the capital Funchal up to the town of Monte and then step on board a sled (carro de cesto) for a quick zip back down the steep streets. Two experienced drivers ride behind the sled to steer you safely down the hill while you enjoy the ride. Experience Funchal’s rich culture and natural environment on this all-day off-road adventure. After a convenient hotel pickup, hop in a 4x4 and explore the island’s pristine corners with a local guide. Enjoy a traditional meal for lunch, stop for souvenirs in Santana, visit Madiera’s first capital city, and marvel at picturesque views of the Red Cliffs—all on one affordable, family-friendly tour. The island of Madeira is renowned for rugged mountains whose summits shoot into the sky. Ascend to the island’s best viewpoints on a 8-hour 4x4 tour from Funchal, ideal for lovers of nature and the outdoors. In an open-top 4x4, you’ll conquer rugged, off-road routes and absorb views of natural landmarks such as Eagle’s Rock and Riveiro Frio , the island’s third-highest peak. Plus, you’ll visit a sugar cane factory in Porto da Cruz. Hotel pickup and drop-off are included. Our motto is that the customer chooses what they want to see and when!We hike without haste and in small groups!from sunrise to the end of the hike the views are stunning! Get a unique and unforgettable view of Madeira on this guided tour to the highest mountains on the island, reaching up to 5,964 feet (1,818 meters) above sea level at Pico do Areeiro. In the company of just your party and a guide, enjoy the flexibility of being able to customize according to your preferences as you explore mountains, volcanoes, and small villages. Madeira is an island of soaring peaks and rugged valleys, but there are plenty of easier hikes throughout the challenging terrain—if you know where to look. On this walking tour, avoid problems with navigation, follow a guide along Madeira’s more gentle walking routes, and enjoy sweeping views over the open countryside. With pickup and drop-off at your Caniço or Funchal accommodation, reaching the open wilderness is easy. This is a special tour indeed. ​Ideal for adventurous families, couples and photographers​There is a certain feeling about being up before everybody else, experiencing the marvels of nature uninterupted and in all its glory​Our number 1 sunrise spot is Pico do Areiro, the third highest peak of the island.Very often we are above the clouds and the colours are absolutely extraordinary, truly a once in a lifetime moment!​Of course we cannot always guarantee the perfect weather conditions for the perfect sunrise so we have back up spots such as;Pico do facho, Ponta Sao Lourenço, Guindaste Viewpoint and one or two secret spots, each with their own unique characteristics.​This is a real adventure!